This book was written by a priest, Fr. Paul Robinson, SSPX, who has a Master’s Degree in Engineering Mathematics and Computer Science from the University of Louisville, Kentucky. He has been teaching Thomistic philosophy and theology since his ordination into the SSPX in 2006. So you would think that a priest with a background in science, philosophy, and theology would be able to come up with a good treatment of the very controversial topic of origins. Fr. Robinson’s way of determining the reasonableness of a position is to apply his Epistedometer to it. Epistemology is the study of knowledge. True knowledge comes from knowing what is real, what is in accord with reality. The left-most position of the epistedometer is the intellect-only position; the position that denies the senses/body. The right-most position is the senses-only position; the position that denies the intellect/soul. The middle position is the realist position; the position that recognizes intellect/soul and senses/body. If you want to know Fr. Robinson’s world view, all you need to do is look at the bibliography in the back of the book. The most entries from one author, by far, are books and articles by Fr. Stanley Jaki (1924-2009). He was a Benedictine priest who had doctorates in theology and physics. So it is clear that Fr. Robinson held Fr. Jaki in high regard. One problem with people who spend their lives in academia is that they have an abundance of theoretical knowledge, but a comparative lack of practical knowledge. There are only so many hours in the day. There is also a tendency for academians to defend each other from non- academians. Otherwise, the institutions of higher learning look bad. So academians are predisposed to give credit to their fellows, especially on subjects outside their own field. 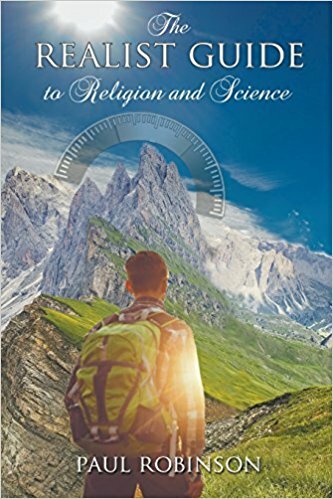 This book has three sections: Reason, Religion, and Science. Fr. Robinson spends many words on describing how you can know anything and what we take for granted. If there were no reality or no way to know it, any discussion of it would be a waste of time. Further, if there were no cause-effect relationship, you would not know what to expect and so you could not predict anything or develop rules of behavior. So scientific studies assume effects have a cause. You also do not have time to investigate everything by yourself, and your brain is limited. So you have to trust other people, especially those in positions of authority. Up until the modern scientific era, starting in the 1600’s, the focus of knowledge beyond basic survival was religion. Fr. Robinson explains how most pagans are pantheists and believe everything runs in cycles, like the natural seasons. Aristotle was the pinnacle of pagan philosophy, but his ideas about nature were mostly wrong in the details. Muslims started off badly but did learn quite a few things from the Greeks during the decline of the Roman Empire. Unfortunately, their god is not a god of reason. The height of Catholic thought was reached by St. Thomas Aquinas. He purified the ideas of Aristotle, and even though he had little interest in physical sciences, he contributed greatly to the advancement of science after his time. He found the balance between reason and authority. Protestants gave up the religious authority of the Catholic Church when they adopted a Bible-alone belief system. Fr. Robinson shows that modern, atheistic scientists err when they think that there is nothing beyond nature. It is clear that nature had an origin outside of itself, especially when you consider the odds of a living cell coming from non-life. Atheistic scientists tend to make a god out of nature or evolution, and despise any authority other than their own. So Fr. Robinson recognizes that life could not come from non-life naturally, and that evolution has limits in its ability to change an organism. However, he also realizes that a literal interpretation of Genesis flies in the face of the teachings of modern science. 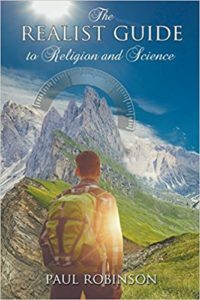 So what is a religious with a background in science to do? Put God in your science! Fr. Robinson takes the position of progressive creation, which is a form of theistic evolution. Unfortunately, he grants too much credibility in fallible human hypotheses in natural science and not enough trust in the Word of God as understood in His Church from the beginning. Aquinas and other churchmen have recognized that the truth of religion and the truth of science cannot be in conflict since they come from the same ultimate source. If natural science were able to conclusively prove a fact that did not square with a given interpretation of the Bible, then the interpretation would have to be questioned. St. Robert Bellarmine said so when he was prosecuting the Galileo case, although he did not think the movement of the earth was proven. One concept that Fr. Robinson accepts without question is uniformitarianism, the idea that things happen now at about the same rate as they have been happening in the past. That idea is agreeable to scientists, but contrary to the idea of a global Flood. However, St. Peter warns that: “in the last days there shall come deceitful scoffers, walking after their own lusts, saying: Where is his promise or his coming? For since the time that the fathers slept, all things continue as they were from the beginning of the creation. For this they are willfully ignorant of, that the heavens were before, and the earth out of water, and through water, consisting by the word of God. Whereby the world that then was, being overflowed with water, perished.” (2 Peter 3:3-6) So St. Peter prophesied 2,000 years ago that people like Fr. Robinson would come along, scoffing at the Word of God, thinking everything has been the same as it ever was, and denying the Flood. Fr. Robinson also discredits the Biblical teaching of waters above the firmament, even though it is stated three times (Gen. 1:7, Psalms 148:4, and Daniel 3:60) and scientists have detected a form of water in space. When speaking about the waters above the heavens, Augustine said: “These words of Scripture have more authority than the most exalted human intellect. Hence, whatever these waters are, and whatever their mode of existence, we cannot for a moment doubt that they are there.” Aquinas agreed with him. This should be our attitude when dealing with realities that are so explicitly and repeatedly stated in the Word of God. The Bible explicitly says three times that the earth does not move (Psalms 92:1, 95:10, and 103:5 DRB). It also states three times that the world was created in six days (Gen. 1, Exodus 20:11 and 31:17) and the Genesis genealogies are given in exact years. The long account of the Flood in Genesis, the words of Our Lord and St. Peter regarding that event, the witness of the Fathers, Doctors, and Saints, together with the Church’s understanding of the Flood as a foreshadowing of Baptism should solidly establish the fact of a global Flood in the mind of any believing Catholic. Our Lord said, concerning the Second Coming: “And as in the days of Noe, so shall also the coming of the Son of man be. For as in the days before the Flood, they were eating and drinking, marrying and giving in marriage, even till that day in which Noe entered into the ark, and they knew not till the Flood came, and took them all away; so also shall the coming of the Son of man be.” (Matt. 24:37-39) Since the Second Coming will be a global event, Christ chose the Flood as another global event from history for a comparison. To deny the global Flood is essentially to call Our Lord Jesus Christ a liar or mistaken about a fact of history. So, Fr. Robinson does a good job of explaining that there is a reality created by God and how we can know it. His advocacy for a balanced position between intellect/soul and senses/body is very good. His criticism of the concept of life evolving from non-life and his recognition of the limits of evolution is also helpful. However, Fr. Robinson gives far too much credit to fallible human hypotheses in natural science in thinking that geocentrism, a young earth, and a global Flood have been disproven, contrary to the Bible. His acceptance of uniformitarianism, which was specifically condemned by St. Peter, is disturbing, especially in light of the anathema of Vatican Council I ten years after Darwin’s publication of Origin of Species against anyone who would say that “the progress of the sciences” demands that any dogma of the faith be understood in a different way. At the time that anathema was handed down, Blessed Pope Pius IX made the Roman Catechism the gold standard for teaching the dogmas of the Faith throughout the world, and the Roman Catechism clearly teaches the fiat creation of all things at the beginning of time, in direct opposition to theistic evolution or progressive creation over long ages. It is ironic that Fr. Robinson’s main authority, Fr. Stanley Jaki, believed that special creation required God to intervene in the natural order, when St. Thomas and all of the Fathers and Doctors held that God created all of the different kinds of creatures for man in the beginning and then stopped creating new kinds of creatures. Thus, it is progressive creation—which requires that God intervene periodically to create new kinds of creatures—which confuses the supernatural order of creation with the natural order of providence, not the true Catholic doctrine of creation which clearly distinguishes between the supernatural work of creation in the beginning and the natural order which began when the work of fiat creation was finished. What is most disturbing is Fr. Robinson’s dismissal of the global Flood with his only defense being one quotation from Vigouroux, since the Flood is so solidly established by the Holy Bible, by all of the Fathers, Doctors, and Saints, and by the very words of Our Lord Jesus Christ Himself.